One of a kind! 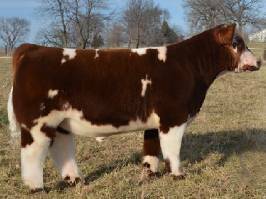 He is the only red and white brockle faced bull on the market. Squarer hipped, deeper bodied, and flanked in comparison to his sire Dakota Gold.